At Professional Electric, we’ve got a team of expertly trained electricians ready to assist you in your new businesses upgrades this year. Not sure if you’re ready for an upgrade? Let us come check out your business for a consultation, or review one of our commonly listed upgrades below to see what suits your company best as you review your building’s commercial repairs and maintenance needs. Transformers are a vital part of your electric mix as they provide power for your business - we are able to upgrade your current transformer and troubleshoot any issues you may be having to ensure you avoid any major financial costs, or power outages this year. 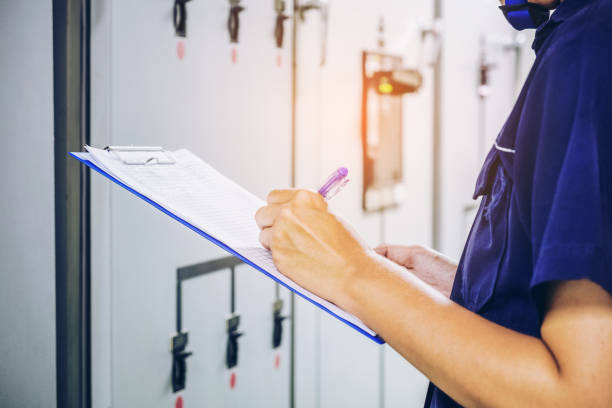 Our team will troubleshoot your panel and see how we can make your electric work in the most effective manner for you and your team. Let our team consult your current panels and see what we can do to upgrade your electric in 2018. We are licensed, bonded and insured to perform any pole light installation projects, or repairs. Safety is a priority for our team. Your security matters and lighting is a valuable way to ensure you and your employees are safe throughout the year - we provide many electrical solutions for your commercial and residential security projects in a variety of shapes, sizes, and light reach to meet your safety needs. New construction means making sure it’s done right the first time! Let our professionals install the high-quality wiring, lighting, and electrical work for your new construction. This will alleviate needs to have costly repairs in the future. In A Pinch Throughout The Year?